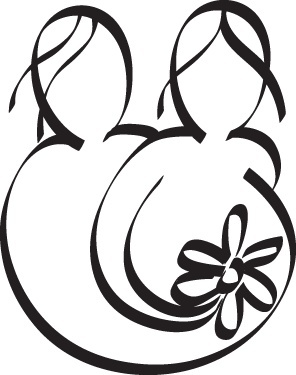 Brief: The challenge with this branding effort was capturing the diversity of the doula's who are part of the coop and the diversity of their client base. We struggled with finding unique imagery that was not gender or race specific. Our exhaustive research showed that there is an abundance of imagery in the space relating to women's bodies, babies, and lotus. The father is not often represented, which was a problem for some of their clients. We decided on an anthropomorphic approach, using an animal that the community already loves and identifies with. Elephants have very long gestation periods, supportive communities, and are very good parents. The essence of the coop is evidence based care and support for birthing families. 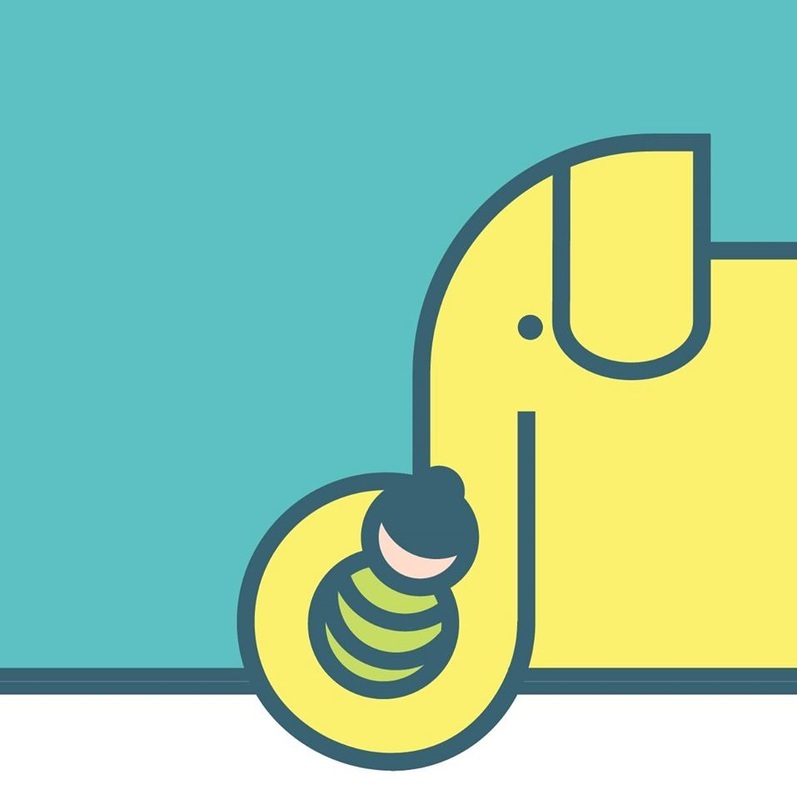 Elephant families represent that exactly. 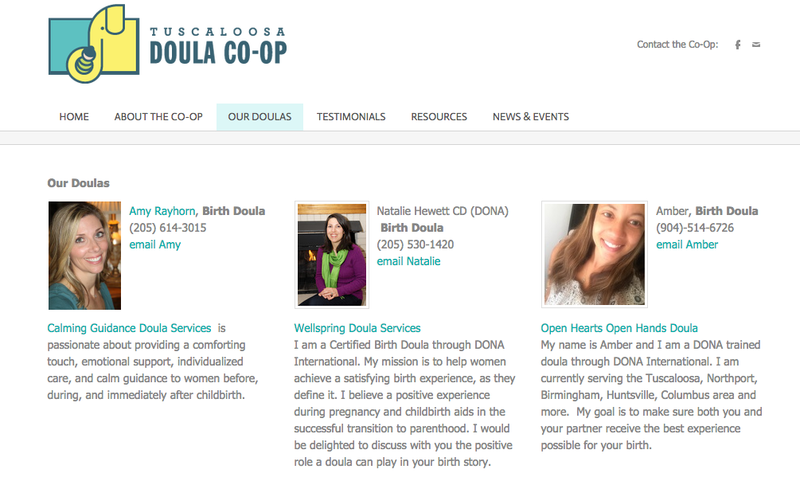 The Tuscaloosa Doula Co-Op is a small business organization made up of local birth Doulas and birth educators in the Tuscaloosa, AL area. The Co-Op provides women and families of the greater Tuscaloosa area birth services through evidence based care and support, access to a network of birth postpartum care professionals, and access to supplementary healthcare networks vital to families.